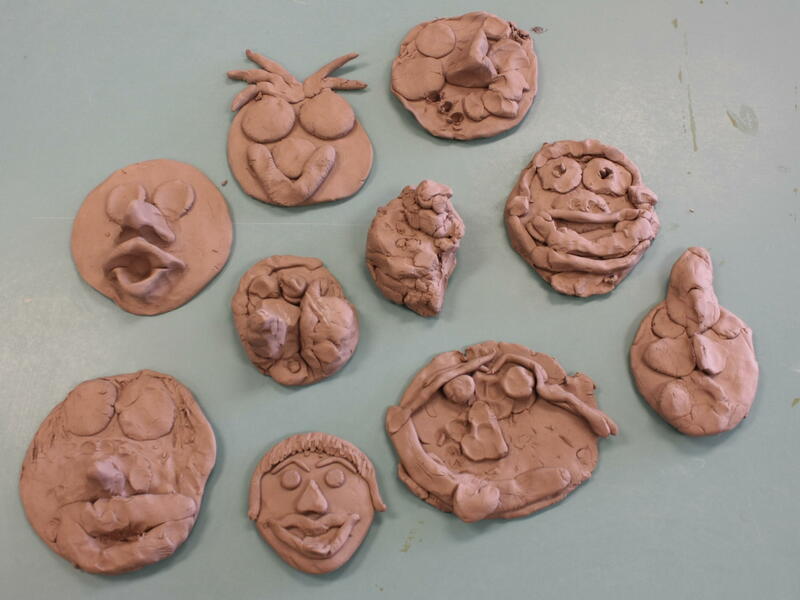 Our Pre-K Clay Play class is geared to aspiring preschool potters aged 3-5 years old. The half hour workshop runs four Wednesdays starting October 1 at 12:30. We’ll make a themed project out of clay one week and then paint it the next. Reserve your spot by calling us at 302-464-1044 or register online. The Pre-K Clay Play workshop is modeled after the highly successful weekly Ceramics Lunch Bunch Steve has been teaching for the last eight + years in a North Wilmington early childhood center. On the “make” days, we pick a theme and use our imagination to create a project along those lines. The clay dries and gets fired before the “paint” day the following week. At this age, the children’s imaginations are boundless. While some pieces may look more realistic than others, every one of them comes complete with a story attached to it. What looks like a blob of clay smooshed on top of another blob of clay to an adult eye is really a magic wand that turns the grass underneath it rainbow colors to the eye who created it. Its not all imagination though, you’ll be amazed at how quickly and completely the children pick up on the ceramic process. After the four weeks are up, they’ll be able to explain how the clay needs to dry before its fired, how it changes during the fire and how the colors change after the glaze fire. The cost of the class is $45 and includes all the material. Participation is limited to ten children. Parents may stay or drop the children off and grab a cup of coffee or pretzel while we create. Call us to reserve your spot or register online.